Details: Some pretty impressive recovery trucks have featured on LTSV over the years, the biggest being those with four axles. 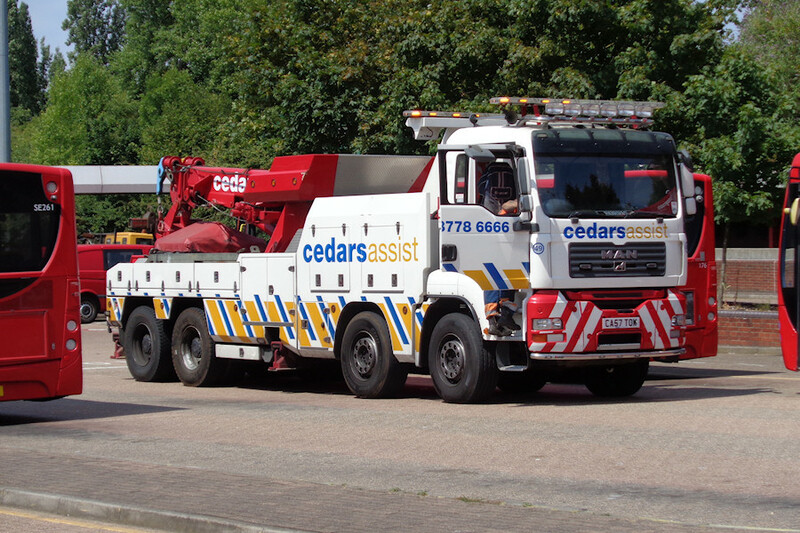 Joining that elite is CA57TOW, Cedars Assist number 49, a MAN TG-A 35.400 8x4 with a 10-litre engine producing 394bhp and driven by 'Borris'. On 19th July 2018 it had been called to Eltham Bus Station to collect Go-Ahead London Enviro 200 bus number 176. Cedars are one of those 'modern' companies that don't see the need for capital letters.